Bapro meat proteins are natural powdered products to improve moisture retention and extend shelf life in cooked and uncooked meats and poultry. 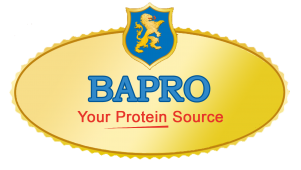 Bapro meat protein is a molecular native protein derived from specific animal species. It delivers texture characteristics comparable to the fat-like mouth feel associated with meat and does not interfere with desired flavor profiles. This line of products is ideal for protein fortification. It has excellent binding abilities allowing the moisture to remain inside the muscle and reduces purge of valuable meat juices resulting in a firm yet stable product with increased yield and extended shelf life. All Bapro products have a water binding capacity of approximately 20:1, which delivers a significant yield contribution to meat and meat products. It comes in powdered form and easily dissolves in water. Due to its low dosage rates, there are no flavor issues.